16 drops Lavender Essential Oil (Buy Lavender EO online.) 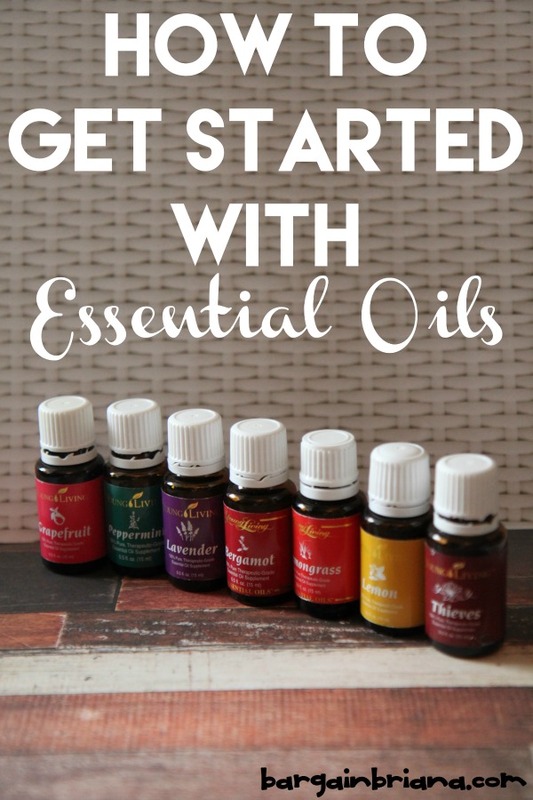 Since I originally wrote this post, I personally only use Young Living Essential Oils and you can read more about why over at this post on How to Get Started with Essential Oils or you can order directly from my Young Living Essential Oils page. Put ingredients into bowl. 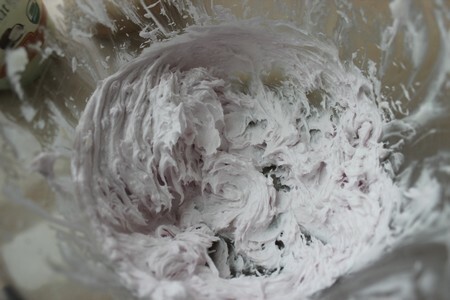 Beat with electric mixer until blended. Scrape down sides periodically to make sure it is mixed well. Then increase speed and whip for 5 minutes. 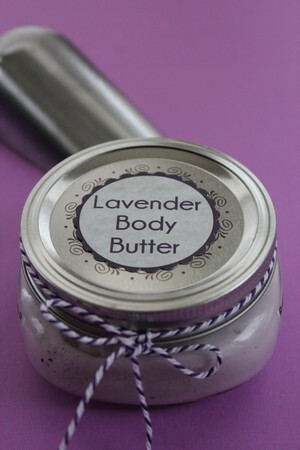 Put your body butter into the jar. Add a Label to the top and maybe a ribbon to gift. Lavender Body Butter Labels (PDF) Find more holiday gifts in a jar ideas! 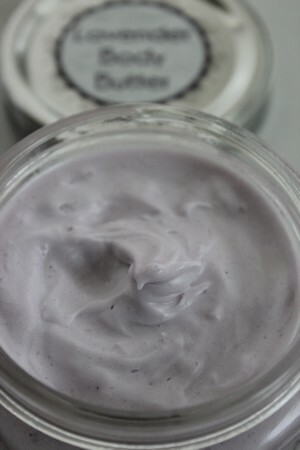 I followed the directions exactly but my body butter turned to liquid after sitting inside my house the next day. Any help? 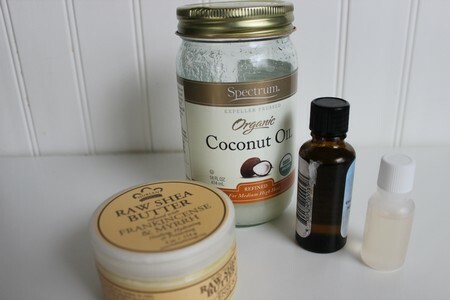 I can’t wait to try some of these recipes for sugar scrub that you poosted. What kind of coloring did you use? What’s the best way to clean the mixer and utensils afterward? Soap and water. These are all very edible ingredients (maybe not the lavender oil if it isn’t culinary grade), so clean as you would after baking something. This looks divine. I just got my first order of essential oils and lavender was one of them. Also, I just bought some of those mason jars not knowing what exactly I was going to do with them but really wanting to do something. Maybe this is a sign! I’ll be pinning! Thank you for sharing at our #HomeMattersParty this week! I love my mason jars! :) Thanks for pinning too! 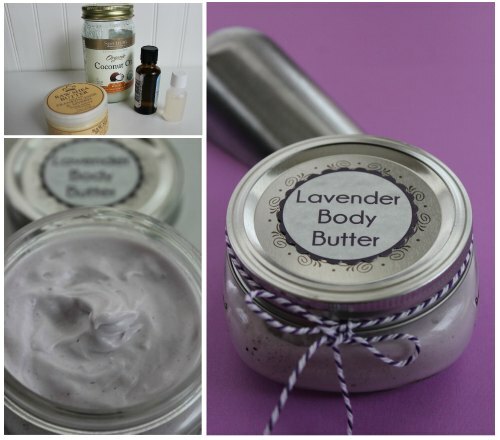 Lavender is one of my favorite essential oils!!! This sounds like a wonderful gift. It’s the kind of gift I would like. Thank you for coming to the Inspire Me Monday Linky Party. I’m Janice, one of your hostesses. Thanks so much for commenting and having me join the party! I bet this smells good! I need to make some more soon. Does the color dye or tint your skin?